For the first time in history, robotic technology meets frozen yogurt franchising! 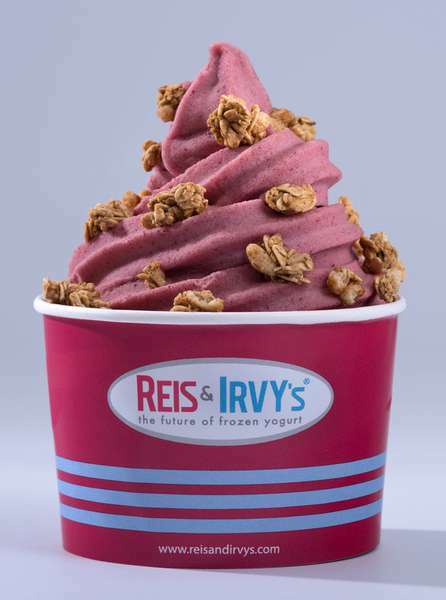 Reis & Irvy’s revolutionary frozen yogurt robots, are serving up a great opportunity for prospective franchise owners. Only slightly larger than the average vending machine, and fully self functioning, Reis & Irvy’s has proven to be on the forefront of innovation and customer service. Serving up 7 different flavours of frozen yogurt, with a choice of 6 different toppings, they provide an engaging customer experience and are a hit with all ages. They are sure to enhance any location they are placed, making them a secure investment for franchise owners! Click here for more information on the Reis & Irvy's franchise, and to see the Froyo Robot in action!